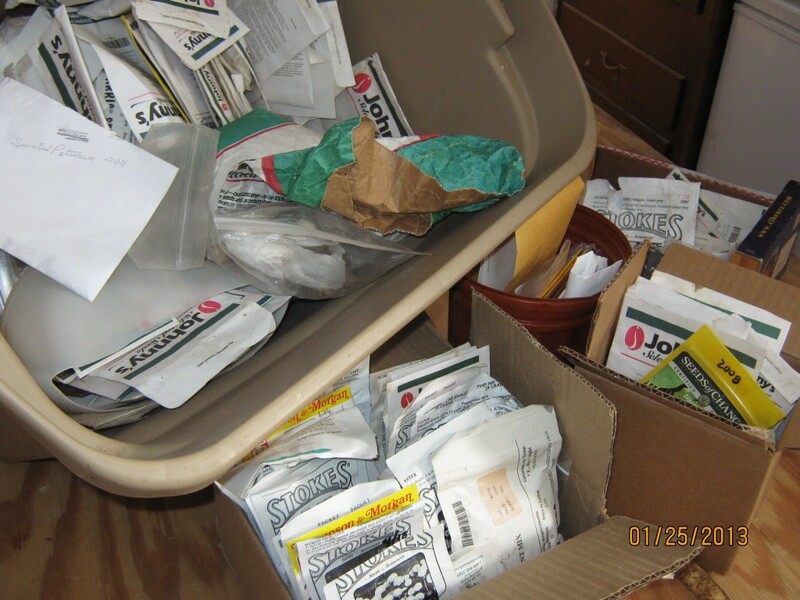 There’s a large storage tub full of seed packs that I’ve been accumulating for years. At one time I had them pretty well organized. However, during the past few gardening seasons, I’ve rummaged through the tub looking for particular seeds and was not very careful putting them back in the right place. Now they’re getting disheveled again. A sheet of plywood on a pair of sawhorses make a good temporary table for a big job like this. I know many of the seeds are too old and are no longer viable. I’ll have to toss them out. Others are still OK so, those will go back in to storage. I’ve been harvesting kale from the garden since fall and there is still plenty left to pick. Even after the those cold nights in December, when the temperature dipped down to the single digits, my kale still is green and fresh with no signs of freeze damage. I knew they were very cold tolerant, but I’m still pleasantly surprised how well they’re holding up this winter. The lower leaves are gone from the plants. I picked those as they matured. It was obvious early on that we were not going to be able to eat all of that kale ourselves. So, a lot of the crop went to feed the chickens. 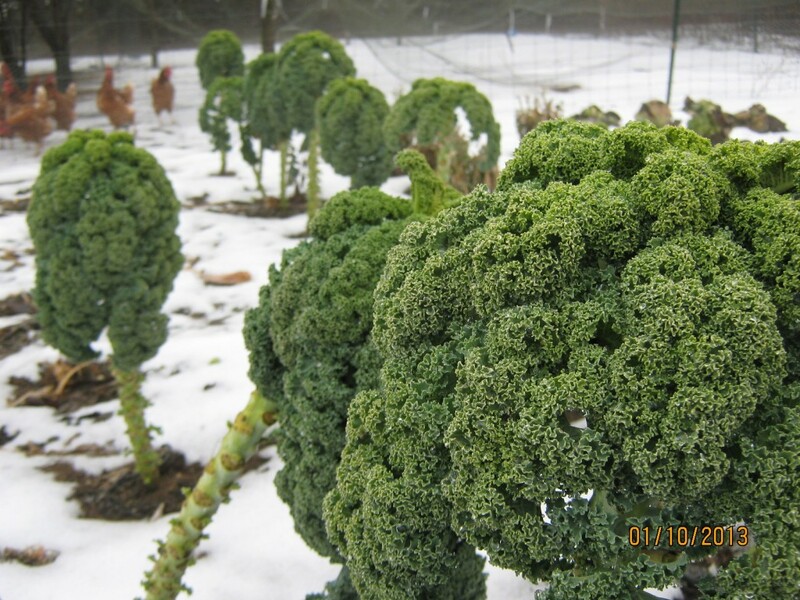 They love it — especially now in the winter when no other leafy greens are growing. Our chickens are hoping I toss them a few kale leaves as a winter treat.